Welcome to Advanced Chiropractic Physiotherapy! Schedule an Appointment with Our Chiropractors Today! At Advanced Chiropractic and Physiotherapy in Lakewood Ranch, we specialize in the chiropractic evaluation and treatment of neuromusculoskeletal disorders. We excel in the treatment of lower and mid back pain, neck pain, and headaches, including disc injury and soft tissue injury secondary to Low Speed Rear Impact Collision (LOSRIC). Virtually 100% of what we treat is of a musculoskelatal origin and responds very well to conservative chiropractic care. Our goal at Advanced Chiropractic and Physiotherapy is to provide patients with quality care and service, decrease pain while increasing function and improve their quality of life with chiropractic care. We work with the patients primary care physician and/or other medical care professionals, as this approach has proven to yield more beneficial and lasting results with chiropractic treatment. 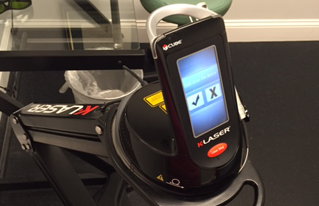 Digital X-ray with PostureRay Software allows us to accurately detect areas of structural problems in patients. Some chiropractors still use the method of measuring spinal subluxations with protractors and x-ray pencils. Due to the thickness of x-ray pencils and drawn lines, one study has determined there to be a 26% error rate subjectively when analyzing these improprieties by hand. With the use of Digital X-ray with PostureRay Software, patients receive their own personalized and detailed PostureRay Report. In this simple to understand report of findings, patients will have a summary of their condition along with details of their x-ray findings. Also in this report, patients will be able to compare photos of their x-ray to a normal healthy x ray, furthering the patient’s knowledge of their posture dysfunction. Having this information at hand allows patients to better understand their structural problems and recommended care which can also be accurately shared with loved ones. 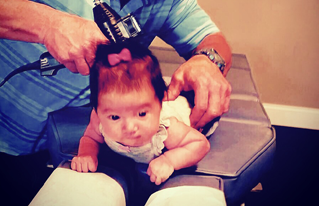 While always striving for excellent quality of care, many new advances have been made in Chiropractic technique. One of the most highly respected and talked about techniques is Chiropractic BioPhysics. Chiropractic BioPhysics, or CBP, is a more knowledgeable, comprehensive approach to chiropractic care. 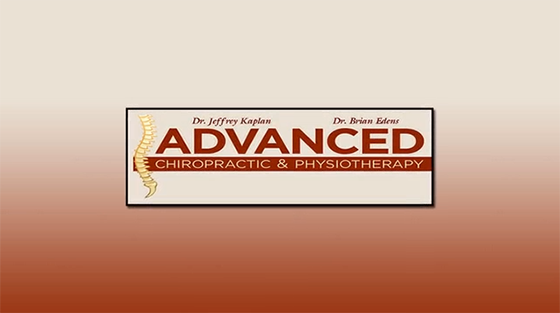 It is a technique that combines the principles of mathematics, physics, biomechanics and Chiropractic, which in the end provides predictable results for patients. Chiropractic BioPhysics is the belief that by improving a patient’s posture, it will provide relief from neck and back pain, headaches, fatigue and other related chronic health problems. Patients who have been treated by Chiropractic BioPhysics have reported long lasting pain relief. Patients also tend to be less irritable and have an increase in energy. Chiropractic BioPhysics tells us that any deviations from the normal spine can cause some tension upon the spinal chord as well as brain stem. Rather than manipulating individual spinal segments, the overall posture or global positioning of the spinal column is targeted for correction. In an effort to acquire postural correction, various chiropractic joint adjustments and spinal rehab exercises with specific traction have been coupled to provide more permanent pain relief and improved health for patients. CBP combines standard chiropractic joint adjustments with mirror image (opposite position) postural adjustments, mirror image spinal/postural exercise, and mirror-image traction. By stretching and strengthening the muscles that facilitate a healthy posture, a normal three-dimensional posture is restored. Personal Chiropractic Phone Consultations By Appointment with your Lakewood Ranch Chiropractor. Call our chiropractic office today at 941-907-9663. We will be happy to verify your insurance and set up your next visit at our Lakewood Ranch Chiropractic office. Auto accident injuries can result in severe and ongoing problems including head, neck, and back problems; damage to the nerves, muscles and ligaments; shoulder, knee, arm, leg, and wrist problems, and, most serious of all -- brain injuries. Car accidents can be particularly bad because of ice and snow, which can mean totally losing control of a vehicle or being rear-ended. The most common car accident injury is whiplash, which is a serious neck injury. Car crash victims may also injure or have pain in parts of their bodies other than the neck. Lower back pain is common in car crashes, as are leg injuries from hitting the dash board, steering wheel or other structures in the car. ... is simple and reflects the integrity of our staff. We are committed to our patients well being. If, for whatever reason we cannot help you, we will refer you on to the proper specialist. Jeffrey Kaplan, DC, was born and raised on Eastern Long Island. He graduated from Miller Place High School in 1990. Dr. Drew Myers was born in Noblesville, IN, but moved to Lakewood Ranch in 2001. He graduated from Lakewood Ranch High School in 2009. After Chiropractic college, he moved back to Lakewood Ranch to serve the community he knows and loves. Daniel was raised in Pennsylvania, and subsequently lived and/or worked in New York City for the previous 27 years. Being a firm believer in the healing powers of chiropractic care, my husband, my two children, and I have been loyal patients of Dr. Jeff for several years now. My children have been seeing them since birth and have had minimal illnesses compared to my friend’s children. Neither has missed a single day of school. Thanks so much for keeping my family healthy and happy! I have been treated by Dr. Jeff for almost 6 years for lower disc degeneration with excellent results. When I come in the office I always enjoy seeing Michelle’s smiling face and always feel welcome. I truly believe in the care I receive from Advanced Chiropractic and Physiotherapy and would recommend it to anyone I know. When my in-laws were involved in a serious car accident on Pope Rd, my husband and I insisted they go to Advanced Chiropractic and Physiotherapy. Neither of them had ever been to a chiropractor, much less even understand the vast range of care offered. The staff was excellent in handling the insurance. We would not have known what to do without them. I am happy to report they are feeling much better and truly believe in the value of chiropractors. Great job!